After relentless training and defying orders, the Mech Cadets find themselves on the front line of the Second Sharg War. Facing an uncompromising enemy they do not fully understand, Stanford, Park, Olivetti, and Sanchez are Earth?fs last hope. With all of human existence at stake, their bonds will have to match their courage if they are to protect everything they hold dear. 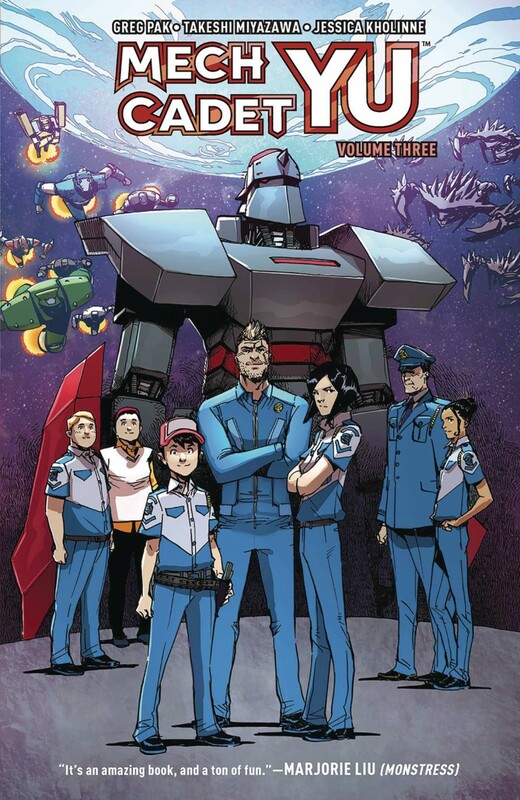 Bestselling author Greg Pak ( The Hulk , Superman ) and fan-favorite artist Takeshi Miyazawa ( Runaways, Ms. Marvel ) bring Stanford Yu?fs journey to its stunning conclusion, as the young cadets come to realize the true sacrifice that comes with duty and service.